* it is better to book the ticket in advance. From Moday to Saturday the first bus leaves the airport to go to Taormina at 8.45, the last one at 20.45. The interval between buses is 30 min (except the time at 11.45 12.45, 13.45, 14.45, 15.45, 18.45, 19.45, 20.45 when the interval is an hour). From Taormina the first bus leaves from 6.30 whilst the last one at 20.45. The interval is 30 min (except the time at 6.30, 7.45 when the interval is 45 min and the time at 11.45 12.45 13.45 14.45 15.45 16.45 19.45 and 2o.45 when the interval is an hour). * It is recommended to check the timetable on the official website of the Interbus before buying the tickets as the timetable is subject to variation. From Catania to Taormina also leaves the direct bus of Interbus. 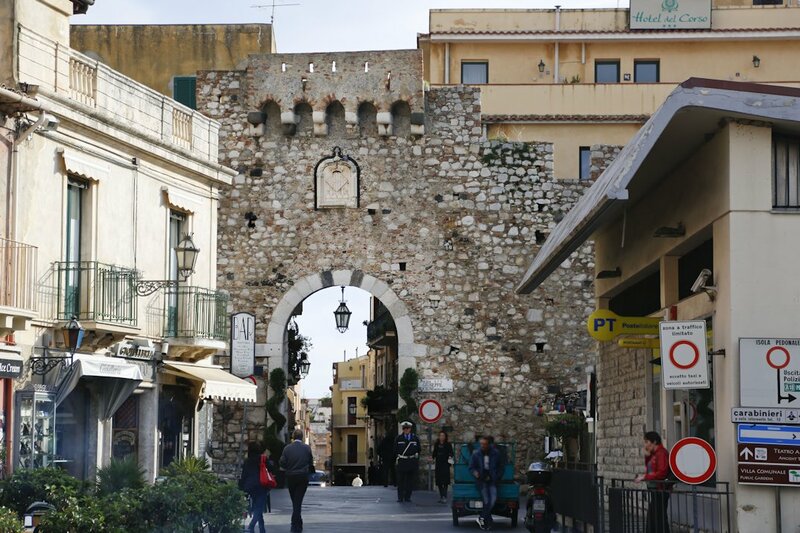 In Catania the bus leaves from via Archimede – that is situated near the train station. In Taormina the bus stops in the Bus Terminal (Via Pirandello near the city center). Average journey time isone hour and 10 min. One way ticket costs 5,10 EUR whilst two way tickets 8,5 EUR. 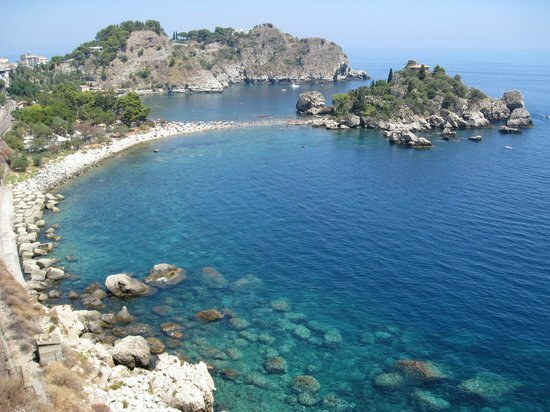 The bus company Interbus offers daily connections between Messina and Taormina. In Messina the bus leaves from P.zza Della Repubblica, 6. In Taormina the bus stops in Bus Terminal (via Pirandello, near the city center). The ticket costs 4.30 €, two ways ticket – 6,80 €. The average journey time is one hour and 45 minuti. 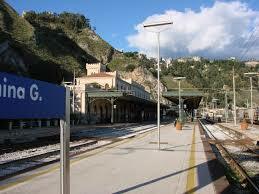 You can also reach Taormina from Catania and Messina by train. But the train station Taormina-Giardini is situated a bit far from the city center: it is necessary to take a bus or a taxi to get there. The average journey time by train is one hour.